Guilt free burger with no bun! 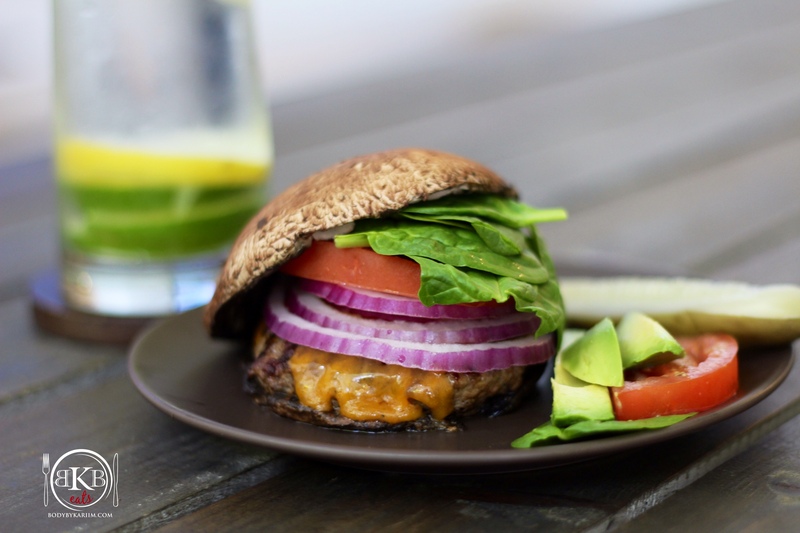 Our Protein packed grilled Portobello mushroom burger is full of flavor & will leave you satisfied! 1. Pull Ground Sirloin from refrigerator. 3. Prepare your grill for high, direct heat. 4. While grill pan or pan is heating, wipe and clean mushrooms with damp paper towel. Cut and remove stems from mushrooms and place mushroom heads on warm (non-stick) pan. Warm mushrooms to your liking and remove from pan then place them on a plate sit to the side. 5. If you’d like to sauté your onions & spinach add ½ teaspoon of olive oil. Or you can leave them raw. 7. Depending on preference (medium, well done etc.) leave on a minute more or a minute less each side. 8. Once burger is done, pair burger with mushrooms, spinach and onions to your liking.